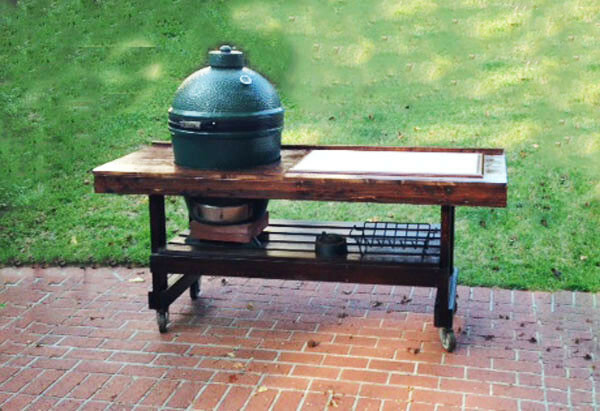 This is a table I made a few years ago for my big green egg. I used pine and stained the table with dark walnut. I added caster wheels to the legs of the table so I can move it easily from one location to another. I hope someone will find this helpful.